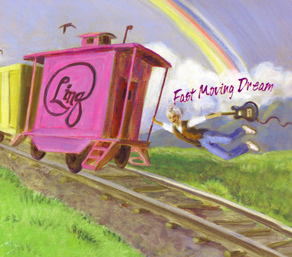 Linq's CD, FAST MOVING DREAM, recorded at IMAeast in Goshen, MA with producer June Millington, was released on June 13th, 2006, by Linqsongs Publishing! At an age when many look forward to retirement, Linq is kicking it up, cranking it out, and defying stereotypes. FAST MOVING DREAM (June 2006, Linqsongs Publishing) is fresh, uncompromising, decidedly un-stodgy, and lush with life experience. This unique album reflects a woman who has found her groove: strongly vulnerable, irresistibly passionate, and dynamically humanistic. “Fast Moving Dream” is an electric folk and rebellion rock celebration appealing to Woodstock originals and their children, soul-searching idealists, and anyone frustrated with the current state of the world. This project, produced by June Millington, includes songs about war victims, health care, homophobia, longing for love, celebration, and a tribute to a longtime friend who died too young. 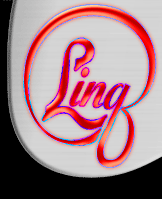 June Millington, Julie Wolf (Ani DiFranco), Jami Sieber, Allison Miller, Loren Weisman, and Ruth Davies are among the studio musicians who create soulful, gritty, energetic background to Linq’s silken voice, driving guitar, and edgy themes.